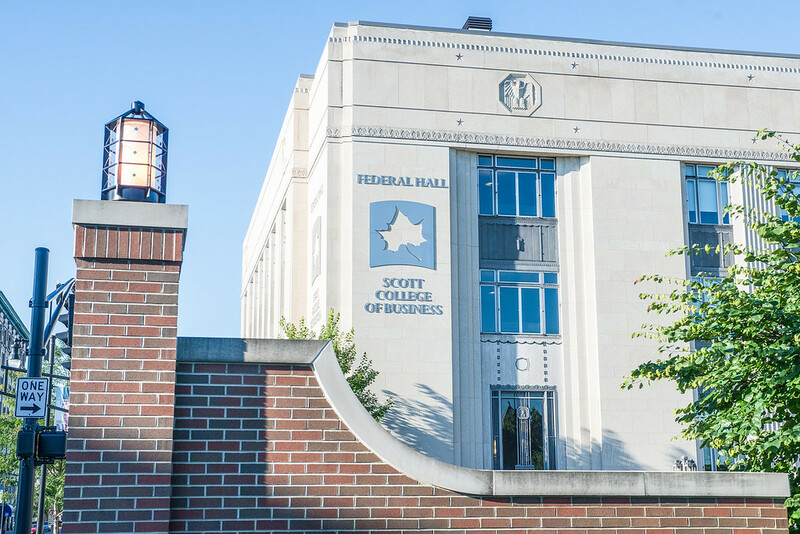 Indiana State University's Master of Business Administration program in the Scott College of Business has been ranked the sixth best-administered program in the nation in The Princeton Review 2019 annual ranking lists of business schools. The 252 on-campus MBA programs on the list are based on The Princeton Review's assessment of institutional data collected from the schools. The opinions of 18,400 students on their experiences at the schools were also collected as part of an 80-question survey. The Princeton Review reports the top schools in 18 categories of interest to students applying to on-campus MBA programs. The rankings are based on student answers to survey questions concerning how smoothly the school is run and the ease with which students can get into required and popular courses. "I am delighted our MBA program has been included in The Princeton Review's listing of best business schools for the 13th consecutive year," said Ashley Layman, interim director of graduate programs for the Scott College. "This is a testament to the top-quality education students receive and the learning environment created by our faculty and staff. To also be ranked as a sixth best administered program is a recognition of our efforts to work closely with each student and our commitment to student success." Indiana State's program, which is ranked on the best administered list above schools such as Harvard Business School, includes a staff of three and about 91 students across its three MBA offerings - on-campus, Professional MBA in Plainfield and MBA in Educational Leadership. "We're really pleased to continue to be recognized as one of the best MBA programs in the country, but I'm not surprised because we put in extra effort to make our program distinctive," said Brien Smith, dean of the Scott College. "The MBA program offers students a lot of hands-on experiences - internships, field trips and jobs - that will benefit them professionally. We feel we are doing the right things to differentiate ourselves from other programs. A ranking like this is external validation that we're doing the right things." The 252 on-campus MBA programs on the list are based on The Princeton Review's assessment of institutional data collected from the schools. The opinions of 18,400 students on their experiences at the schools were also collected with an 80-question survey.